May is finally here and with the sunshine gradually starting to peep out from the clouds, we thought this would be the perfect opportunity to share a bright and encouraging crystal with you today. Topaz is a powerful stone known for bringing positivity, protection, love, and hope. Could this be the perfect crystal to bring you joy and happiness this summer? 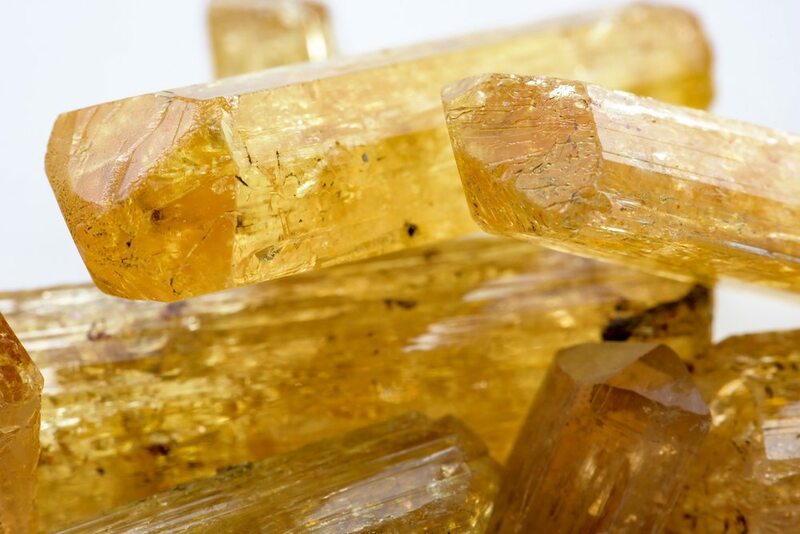 Blessed with a multitude of benefits, Topaz has a reputation for bringing success and good fortune to those who use it. This calming and balancing stone helps its beholder release tension, control emotions, and nurture joy. It encourages people to focus on life’s most important matters while drawing attention away from the minor details. Think of Topaz as your ‘guardian’. It will protect you from the evil eye while banishing greed and destructive feelings. We all suffer from days where nothing seems to be going our way but if you feel as though the negative aspects of your life outweigh the positives, it could be worth turning to Topaz for help. It will divert your attention away from your own weaknesses, give you a sense of peace, and push negative memories to the back of your mind. You’ll start to see the world in a more positive light and this new optimistic outlook with radiate from the inside out. Those around will begin to notice a change in you and your cheerful vibes may even rub off on them. Your circle of friends will become stronger than ever before and outsiders will be desperate to shimmy their way into your gang. Topaz is also a crystal of truth and transparency. If you’d like to be more honest about your feelings or you’re struggling to open up to those that mean the most to you, wearing Topaz jewellery could help. If you’re suffering from poor health, Topaz could complement traditional medications and help you to see results more quickly. It should never be used as a substitute to prescription medications or as an alternative to support from medical professionals, but this powerful healing crystal can certainly be used alongside professional help. Which crystals should you turn to in a crisis?